Key Difference: A backpack is a type of bag that is carried on one’s back. 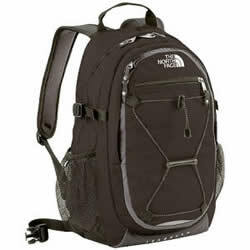 There are many types of backpacks: rucksack, knapsack, packsack, pack, etc. A rucksack and a knapsack are essentially types of backpacks. Alternatively, a Haversack is a one shouldered bag. A backpack is a type of bag that is carried on one’s back. It is usually made of cloth and has two straps that are to be used to secure the bag over the shoulders. Backpacks are quite handy as they allow one to carry heavy loads or equipment easily. The large backpacks can be used to carry loads over 10 kg (22 lbs). It actually allows this by offloading most of the weight onto the padded hip belts. The shoulders straps actually carry very little weight and are mainly used just to stabilize the load. 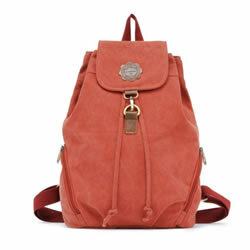 There are many types of backpacks: rucksack, knapsack, packsack, pack, etc. A rucksack and a knapsack are essentially types of backpacks. Rucksack is a German word, where 'der Rücken' means 'the back' and sack is of course sack or bag. A rucksack is a type of square soft pack. It also has two shoulder straps. 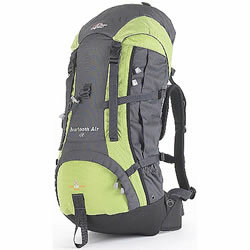 It is a large type of bag, which is often used for camping, hiking or trekking. It often has various pockets to keep small items in, as well as belts that can be used to secure sleeping bags. A knapsack, on other hand, is a much smaller backpack. It is also a square bag often made of canvas, nylon, or leather. Like most backpacks, it also has two shoulder straps. However, it is often much smaller than regular backpacks, and are meant to be used for everyday use. It is often used for day hikes, day trips, day treks, etc., as it is small enough to hold just the essentials. Alternatively, a Haversack is a one shouldered bag. Unlike backpacks, haversacks have only one shoulder strap and are meant to be carried side slinged. They cannot carry as much weight as a backpack, and are often used to carry small and light weigh items. 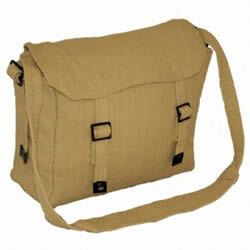 A haversack is more commonly known as “messenger bags”. Haversacks were originally used by the military to carry food, such as the 'Havercake', which is a rough type of bread simply made from oats and water, and also the namesake of the bag. However, in Australia and elsewhere, the word haversack is synonymous with rucksack or other similar terms and is used to describe any backpack. A single-strapped bag worn over one shoulder and used for carrying supplies. A canvas, nylon, or leather bag for clothes, food, and other supplies, carried on the back by soldiers, hikers, etc. A type of knapsack carried by hikers, bicyclists, etc. A backpack is a type of bag that is carried on one’s back. A bag with a single shoulder strap. Also known as messenger bags. A small backpack that allows one to carry a limited amount of supplies. A large backpack that allows one to carry a large amount of supplies. Everyday use to carry any items. Can be used for a variety of functions. To carry small items that can be carried over one shoulder. Messages, Books, everyday use. Day hike, day trip, day trek, etc. Backpacking, Camping, Trekking, Hiking, etc.